The color of your house can represent who you are as a person. It shows your personality, and it will surely make your home stand out. You can easily choose any color that you’d like. 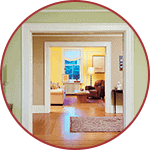 There are many color options to choose from to match any current style and décor in your home. From yellow to blue, or brown to gray, there are endless opportunities to uncover on the paint color wheel. 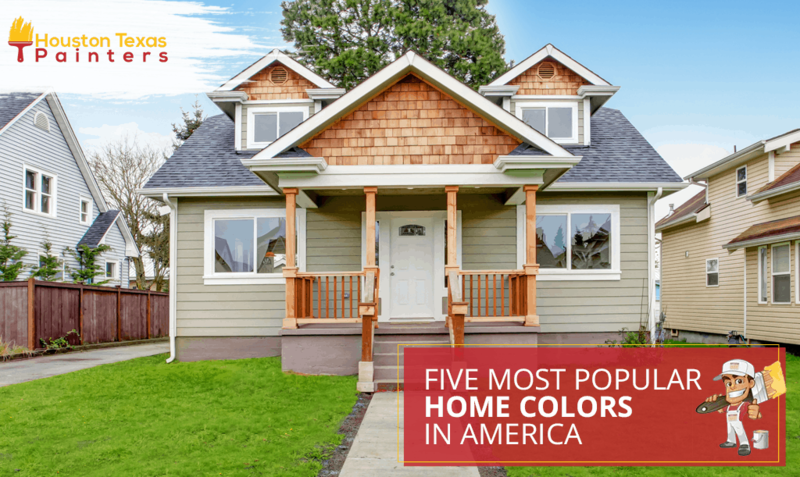 Here’s a quick rundown of the most popular home colors in America! You can’t go wrong with a classic. With vivid colors, white is almost always a sure thing as it’s a clean color that shows up well and has the potential to be personalized. To bring in accents that reflect your style or to add some personality to the exterior, use a colorful focal point on the front door. By doing so, it offers the opportunity to bring in a dash of color that can go a long way. White is a versatile companion, so whatever color you choose can certainly spice it up. When you work with colors inspired by the natural landscape, it will create an instant connection to the exterior of the home. Also, it is always a good route to take, and these colors will last for years. There are hundreds of shades of blue, but deciding among them depends on two main factors: preference and climate. If you’re living in the South, bright, vivid blues work well in the more open and gorgeous landscapes. Deeper grey-blues suit landscapes populated by evergreens and match the skies of the seasonal weather when you’re up north. Other favorite colors of house exteriors are cream, beige, yellow, and light-hued versions of grey, blue and green. Subtle yellows can breathe life into a home and can convey a friendly environment to guests. A warm house is often observed as more hospitable and family-oriented. Before they set foot in your house, your guests will instantly feel at home with this color. For contrast, opt for black shutters and white trim, but steer clear for overly bright yellows or neon shades, as they can clash or come off as aggressive and overpowering. Perfect color for every part of your exterior, gray is a lighter neutral that won’t overwhelm you. Gray works everywhere, all the time and is here to stay. The funny thing is, even though it’s the same color as our skies six months out of the year, if you combine a white trim you’ll get that pop you want all year round. Some homeowners desire gray colors that complement their current exterior materials, like stone or brick. But you’ll even get a sense of sophistication if you put a hint of other neutral colors as accent colors. Don’t be afraid to go to the dark side. The black exterior is a striking choice for any home style. It’s strict, bold, but also a bit seductive. You can never go wrong with a black exterior, as it magnifies modern architecture, making angles and hard lines even sharper. 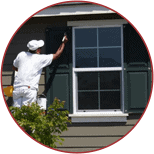 It also puffs new life to aged and dated homes, eliminating bland and murky hues for a timeless color choice. Keep your surrounding landscaping light and airy. While it’s okay to stick out and have an appearance of your own, you don’t want to clash with the surrounding homes in your neighborhood. Not only will this hurt the value of properties there, but it could also result in disgruntled neighbors. 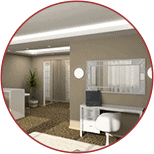 Light trims are suitable for reflecting the sun’s lighting and heating effects. Plus, if you have a large home on a small lot, as is the case in many tight suburban subdivisions, light-colored dwellings can make this size difference even more dramatic. Then use darker tones to help balance the home and land. So whether you want to mingle in with the style of the area, or stand out in a pile of homes, you now know what colors are mainstream and what factors you should take into consideration when choosing the right color. And don’t forget! 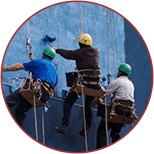 This decision is a significant investment, so it’s not very easy to change if you don’t love the result, so go ahead and hire professional painters to exceed your expectations.